We purchased a replacement iPad for Sam costing £1500 and received this wonderful message. “Thank you again, so much, for making our Christmas even more special. 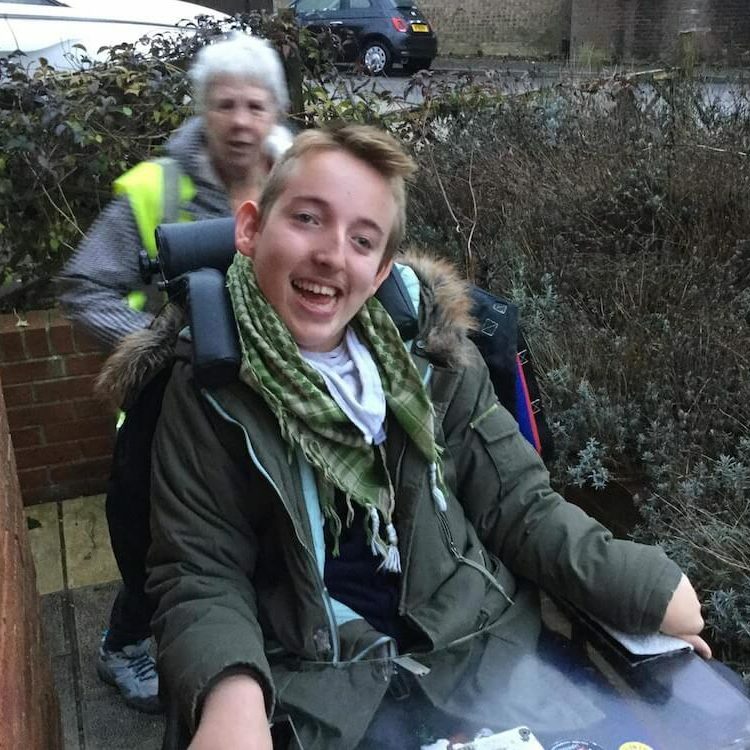 Can’t wait to send you a picture of sams face on Christmas Day when he sees the incredible gift you have enabled me to provide for him.’ The iPad plays such an integral role in Sam’s life and growing independence. It is without doubt.....apart from his family.....the most important thing in his life. His mum has combined the Alexa echo system with the I pad has provided this young man with even more freedom to control simple things like his tv., his music, his audiobooks, his lights etc. (Vital when stuck in bed for 3months recovering from a major operation.) Sam also uses it at school to play games with his friends, communication apps and composing his much loved music pieces. We purchased a replacement iPad for Sam costing £1500 and received this wonderful message. Sam also uses it at school to play games with his friends, communication apps and composing his much loved music pieces.